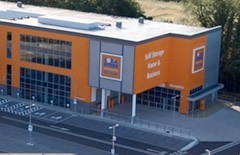 Lok'nStore has self storage centres in many other locations, the closest being Reading. From the M4 at junction 8-9, take the A404 (M) / A308 (M) exit to High Wycombe / Maidenhead. At the roundabout, take the 2nd exit onto the A308 (M). At the next roundabout, take the 1st exit onto the A308. At the following roundabout, take the 3rd exit onto Stafferton Way. Lok’nStore will be on your right hand side opposite Homebase. Alternatively from the High Wycombe area, follow the A404. At the roundabout, take the 3rd exit onto Marlow Rd / A308 and continue to follow A308. At the roundabout, take the 1st exit onto Stafferton Way. Lok’nStore Maidenhead provides around 60,000 sq ft of lettable self storage space and is prominently positioned opposite Stafferton Way Retail Park with its own easy access. 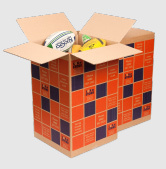 This secure facility is open 7 days a week and offers its customers a full range of storage products and services. For detailed directions on the location of this facility in Maidenhead, see below on this web page, or have a look at the map to the right. The handy postcode locator will show you your current closest Lok’nStore location. Lok’nStore Maidenhead is a purpose built self storage facility, in a joint development with Lidl, the successful chain of family grocery stores. This facility is Lok’nStore’s fifth purpose built centre and its first in association with Lidl. What does storage at Lok'nStore Maidenhead cost? Lok'nStore's facility in Maidenhead will offer you the lowest priced household, business and student storage in the area. 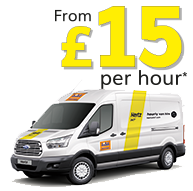 We know this because we check our competitors regularly and then set our prices below theirs - so that our customers get the best deals around. Our prices vary at all our storage locations according to your choice of payment method, how big the space is that you need, and how long you need to store with us. For an instant quote please click on the ‘green button’ above or give our staff at Stafferton Way a call to discuss finding the right solution to your storage problem. All Lok’nStore prices include VAT.